For Drooping Cheeks:The cheeks will be raised due to stimulation of fibroblasts, elevation of a tensile strength of deep collagen tissues. For Pimples:The hyperthermia energy will normalize the sebaceous glands which control the sebum secretion and the high frequency will “killed” the bacteria that cause the infections. Monopolar RF takes that epidermis balances normal temperature, RF electric wave produces heat into deep skin as nuclear technique, based on assure of skin comfortable, harmless, it uses RF electric wave to produce heat exchange, precisely attains skin deep, stimulates inner ion of body, colloid granule with electricity will be forced rapid movement, vibration, then produce heat energy. 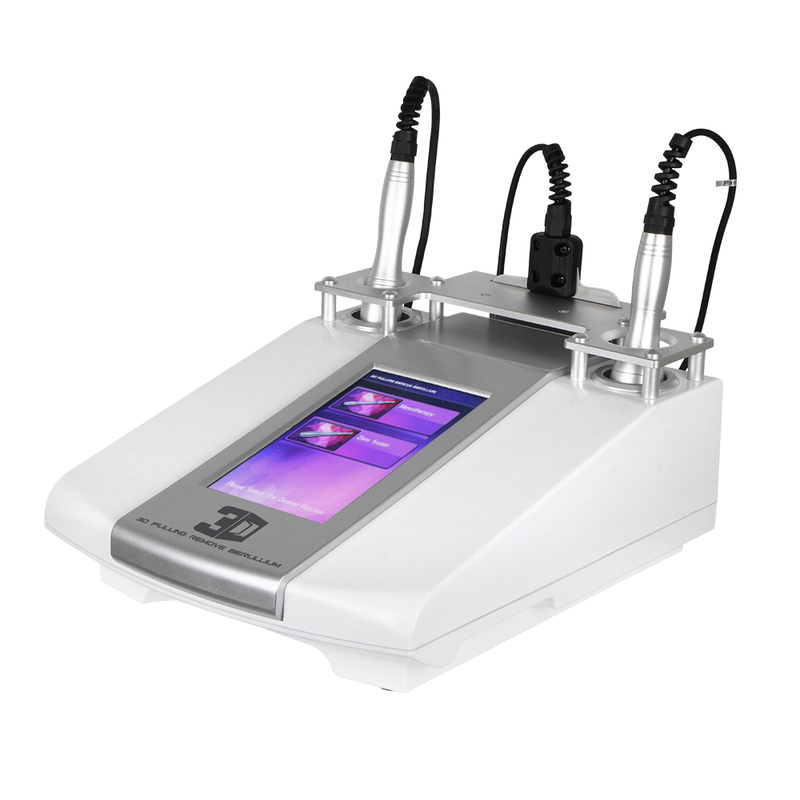 At the same time, under the effect of polarized molecule resonance, it heats collagen tissue of the dermis layer. When deep collagen tissue is heated up to 45-60, it will naturally produce instant shrinking, stimulate to excrete much new collagen to make up interspace of the shrinking or lost collagen protein, and make them re-array, rebuilt skin soft bracket, finally get tight skin, removal wrinkle, recover skin elasticity and luster. With one main machine ,2 probes,1 pcs of electrode plate and 3 pcs electrodes .And easy operate system .